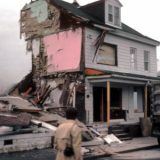 , is without a doubt the most compelling look at Centralia PA available today. Published by Globe Pequot Press and recently updated in 2010, the book is required reading for anyone interested in diving deep into the story of the Centralia and its mine fire disaster. DeKok is a journalist who has been covering news from Centralia Pennsylvania since 1976. Over the years, his work has gotten him close the people, places, and events surrounding the mine fire and the town. His perspective is unique. He isn’t researching and writing about what happened. Rather for many events, such as borough meetings, he was actually there capturing first hand accounts. 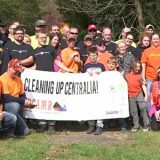 Fire Underground begins with the early history of Centralia PA. 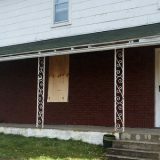 He takes readers back to the town’s founding and rise to prosperity along with the region’s anthracite coal mining industry. From there, DeKok provides the background of that fateful day in 1962 when Centralia’s landfill was set on fire. His account of these events are primarily based upon facts gleaned from sources and interviews. This gives the book a strong degree of authority. DeKok spends several chapters describing early efforts to control and contain the mine fire. He provides excellent information about the state and federal agencies managing these efforts. He also talks at depth about the residents of Centralia who fought so hard for their town and what they believed in. Above all else, David DeKok paints a frustrating picture of bureaucrats and government inaction. As the mine fire worsens and it becomes clear that Centralia residents must relocate, the sad nature of town’s story comes into focus. 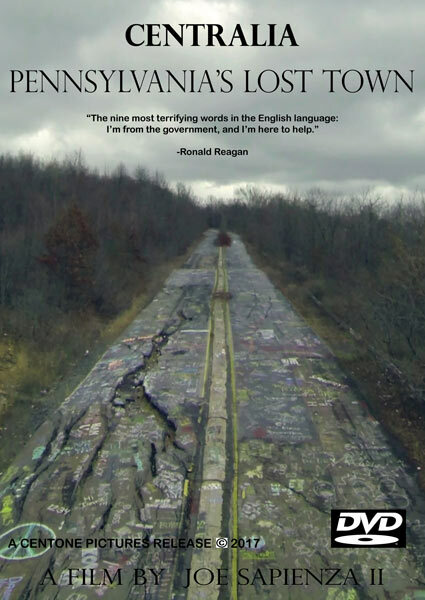 In that sense, the book closely mirrors the unfortunate story of Centralia Pennsylvania. One of the highlights of Fire Underground is the map of the town and photographs from DeKok’s personal collection. These help to explain where the mine fire began and how it impacted Centralia. Earlier editions of the book included color images, while the most recent one includes black and white images exclusively. David DeKok closes his book in 2010. 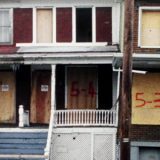 This means that it misses a few key pieces of Centralia PA’s recent history, such as the remaining residents being permitted by the Commonwealth of Pennsylvania to stay in their homes. For anyone looking to understand the origins of the Centralia mine fire, get close to the people who were impacted by it, or explore the government bureaucracy behind all of it, Fire Underground: The Ongoing Tragedy of the Centralia Mine Fire is definitely a good read. The book is 284 pages long and can be bought directly from Amazon.com . So, true. 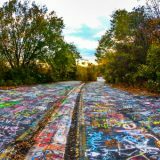 It was along time before I was able to drive through Centralia without crying. How sad.